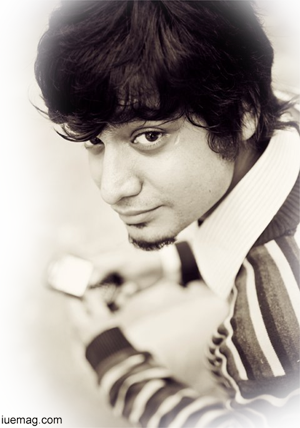 Varun Agarwal is a first Generation Entrepreneur, Film Maker and a Debut Author. After a brilliant schooling from Bishop Cottons Boys School, Varun succumbs to doing Engineering. If you are an Engineering student and belong to Bangalore, you can easily predict the en-route of anyone who falls under this category. Yes, you're right.. the answer is, Software Company. But here is an unlikely story. 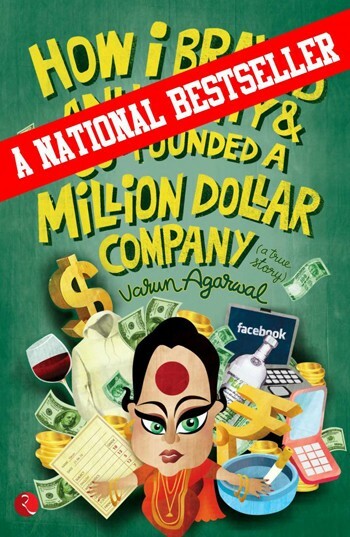 Varun takes a turn and steps into the forbidden land of Entrepreneurship. What happens next is what his debut book speaks in detail. At 26, Varun shares his profile with 3 companies to his name, Alma Mater, Reticular and Last minute Films. Here is an interesting interview with the young prodigy which will give you an insight into his Life. There is no particular reason why I wrote. We shared about how we started the company in our facebook page and they started getting really famous and then a lot of people started asking me, "Why don't you write a book?" I have never written a book or anything of that sort, ever in my life. So, obviously it was something that I was really scared about doing, because I have never done something like that. But throughout my life I have always believed in one thing Always take the leap and then think. When I actually wrote it, I hated the book. I sent it to the publisher just for the heck of it. And surprisingly they loved it and they banked me on. Q. Being the Founder of 3 companies and Best Selling Author now, What was the hardest thing in your journey? I guess the hardest thing was convincing my own insecurities, my parents and people in my circle & society that I can do it. It wasn't very encouraging because 3 years down there was absolutely nothing in the field of Entrepreneurship with me so it wasn't very encouraging at all. I just did what I really wanted to do. I chose to ignore everything around me. I chose to follow my dreams and do whatever makes me happy. Q. What made you start early? It's not like I wanted to start early. Just that an idea came to my head and we couldn't waste time sitting on the idea. Not like I always wanted to be an Entrepreneur. I just got a good idea and the idea had to be executed. Everything else followed. Q. What do you believe is your competitive advantage? I am not doing anything to stand apart, stand different or to be seen different from anyone. I am doing all this because I love doing this. There is absolutely no intention to be the odd one out, to be one guy who is different from everyone else. That's never been the intention. The intention is just to do what you believe in and the rest will follow. Q. What were your feelings when your first book was released? It's a very Bangalore book written in a very Bangalore kind of language. I never thought people would be able to connect to it and relate to it, apart from the Bangaloreans, of course. People have accepted it and the whole thing has come out which is quite a lot of surprise to me. I didn't expect it. Q. Amidst all this, How did you manage writing a book? Luckily for me I wrote the book very quickly. It took me just 7 days. It was almost a true story, right? But, I am scared of writing the second one. I don't know how long it's going to take. Q. How does it feel to be invited for the literature festival? Q. Can you share a little bit about your current projects with us? Right now I am focusing on expanding Alma Mater, in scaling up the company. Lot of new things are coming on Alma Mater - a new different website, new themes which will help design t shirts, Sequel to Anu aunty is coming up. Last Minute Films is also into a new project on creating videos for young brands like PUMA. I am not thinking of anything new right now. My focus is definitely on Alma Mater that has the strongest potential among the teen. The balance is usually very good because I don't have to do much work in Last Minute Films or others because there are people handling it. I am into more of a consulting now and look-ing after the business on a broader scale. Alma Mater is where I am more focused on. Q. How do you balance your personal and professional life? It's quite difficult actually. I don't get much time for my personal life now. It's quite hectic. It's gotten more hectic after the book is come out, which demands even more commitments I am due to write my second book. In fact I am supposed to submit it by March. Life is really hectic but it's fun. Q. How many hours you work a day and when was the last time you took a holiday? If you count all the trips that I make to speak, I consider them holidays as I get a little bit of time off. I haven't taken an "official official" holiday in the last 3 years. I don't think I needed it. Because I would probably be more concerned about my work when I am on a holiday. So I won't enjoy the holiday at all. Honestly I have never needed a holiday In terms of working, the number of hours never count. The day just goes by fast. I don't realize how many hours I work and I wouldn't call it work actually. So it's nothing to do with the number of hours. Q. How do you deal with rejections in Life? I deal with them really positively. It helps me grow as a person. It's more of a learning experience for me than a disappointing experience. So, as and when rejections come, it obviously feels bad but I would have learnt a lot more which otherwise I wouldn't have. Q. Have you ever felt that you have missed some part of your youth Life? No, no, no.. not at all. Since I am doing business with my friends so we are always chilling, right? All my partners are my friends so we go catch up for a drink or that sort. I don't feel I have missed out on anything at all. Where do you envision to reach in teh next five years? I really hope Alma Mater becomes the go-to branch for schools and colleges in this country. So if there is anything to do with schools and colleges, I really want Alma Mater to reach there. Your Message to our Readers - Don't think. Just go out and do whatever you love or believe in.